Much of the attention given to the criminal justice system focuses on felony conviction and mass incarceration. But the most common criminal-justice encounters are for misdemeanors, not felonies, and the most common outcome is not prison or jail time. 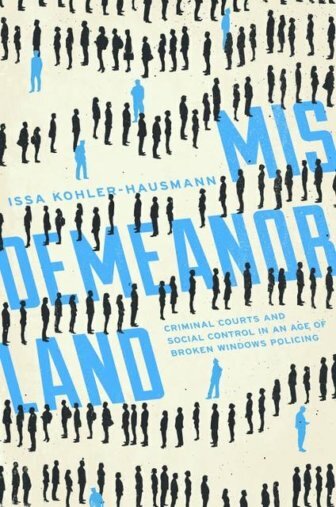 “Misdemeanorland,” written by Issa Kohler-Hausmann, an Associate Professor of Law at Yale Law School and an Associate Professor of Sociology at Yale, argues that the dramatic expansion of enforcement against lower-level offenses under “Broken Windows” policing led New York City’s criminal courts to largely cease adjudicating guilt or innocence in misdemeanor cases. Instead, these courts have shifted to managing misdemeanor cases: marking and testing defendants, and subjecting them to significant procedural hassle and surveillance even when roughly half of cases result in legal dismissal in some form or another. In a conversation with The Crime Report, Kohler-Hausmann discusses the implications of a lower court system that can exercise expansive social control over those accused of low-level crime without ever having to impose a sentence. 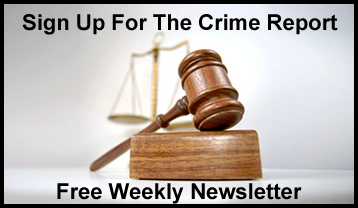 The Crime Report: What stoked your initial interest in New York City’s misdemeanor courts? New York ended up being the perfect site, because New York is home to a form of policing that has gained prominence nationally under the banner of “Broken Windows” or “quality of life” policing, which is an intentional increase of sub-felony enforcement under a theoretical understanding that sub-felony enforcement will bring down major street crime. TCR: You write about the backlog that “Broken Windows” policing created in misdemeanor courts, and the subsequent shift in court practices from adjudicating defendants’ cases to “managing” them. Had court personnel and resources increased to process the growing number of cases, would we still have seen that same shift? Without getting into the evaluation of whether that’s good or bad, it’s important to note that that’s very different from what we think criminal courts’ role is in the criminal justice system, which is standing between police and punishment in deciding who in fact is guilty and who deserves punishment. TCR: A lot of your research draws on qualitative interviews with people being processed by misdemeanor courts, as well as actors within those courts. Did you find most people eager to talk about their experiences, or were they wary of your project? KH: Doing qualitative research is hard. It’s hard, emotionally, for the researcher; it’s hard for the people involved; but it also can be rewarding. You’ll find that people like to talk about their jobs, especially in an area where they’re overworked and underappreciated and underpaid. Whether they are prosecutors, or defense attorneys, or judges, many of them fit that category, and many of them are happy and excited to talk about their work. Defendants are the hardest category, because most of the people I’m speaking to just got out of a really traumatizing experience. Handcuffs were put on their body, they were kept in a cell in the precinct, they were transferred to central booking, they sometimes had to sleep on the ground or standing up. Many of these people, it’s their first arrest—the last thing they want to do is sit around court and talk to you. But an astounding number of them were willing to, and I think they’re willing to because, similarly, people want to share their experience and talk to you about what they think was fair or unfair; people want to, in some sense, participate in the institutions that affect them. TCR: You note in the book just how few cases under the “managerial model” actually go to trial. Do you believe that the legal system has some obligation to lower the process costs to make trial accessible to more people? KH: What I call the managerial model is about using the tools of the criminal process to come up with some sketch, some sort of impressionistic understanding of [whether a defendant is] a governable person. So [court actors] basically decide, “I’m going to see whether you’re able to respond to these demands that I put on you, if you’re the type of person that’s arrested again, in order to decide what to do.” And I think in the abstract, that’s not a crazy solution. In the abstract, it’s not even necessarily an immoral solution to low-level offending. If we think about the inherent meaning of stealing a candy bar, jumping the turnstile, or even pushing someone, it’s different from the inherent meaning of sexually assaulting someone, or murdering someone, or stealing something by forcibly entering someone’s house. And so in the abstract you might say, “Look, processes have cost, and we don’t want to do the same thing when someone’s accused of stealing the candy bar, jumping the turnstile, as we want to do when someone’s accused of assaulting someone or forcibly entering someone’s home or killing someone.” We might take less seriously and devote less resources to finding out whether or not they did it, and instead what we might say is just don’t do it again. 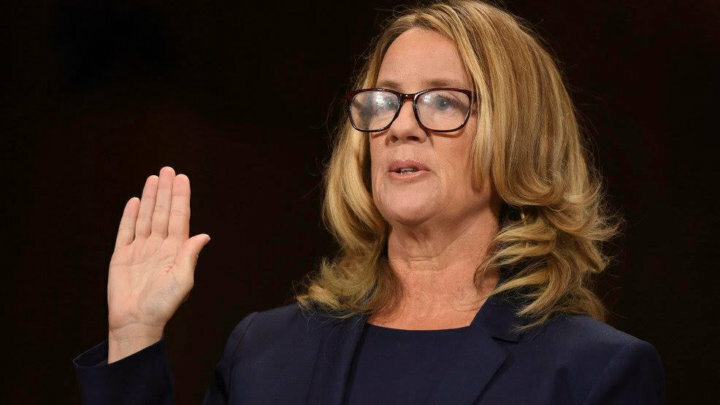 I don’t know if you did it or not, so I’m going to just say, if you don’t do anything again, then in a year, or in six months, we’re just going to pretend that this never happened. That’s not a crazy solution, inherently. The costs of misdemeanor justice are falling on the same people that the costs of violent crime are falling on. The real moral and political questions have to do with the fact that we’re not evaluating this in the abstract. We’re evaluating it in a very real social world. So where are these arrests happening? They’re happening where low-income people of color live. And who are we arresting? We’re arresting low-income people of color. And so the costs of misdemeanor justice are falling on the same people that the costs of violent crime are falling on, and the same people that mass incarceration fell on. What you’re doing is arresting a whole bunch of people who live in those neighborhoods for low-level offenses, often for similar conduct that happens in more affluent spaces, and then demanding that they prove to you, to us, to the court system, that they are the type of people that can be trusted. So that’s the justice question. It’s the distributional question. It’s not, in the abstract, is this a crazy system? It’s, in this particular use of it, how are we doing this? But the other important thing to recognize is that if prosecutors adjudicated all those cases, it’s possible that a lot of people were factually guilty of the crime. But that doesn’t answer the justice question of whether there’s a right to enforce it. There might be a lot of people who shoplift, or who jump the turnstile because they don’t have the money to pay for the subway. But if you adjudicated all those cases, you’d have a lot more people with convictions. TCR: One of the penal techniques used under the managerial model is marking. Do you think that it’s wrong to extrapolate something from someone’s rap sheet? Is it wrong to say, “You’ve done this before, you’re doing it again, we’re upping your punishment”— what you call the “additive imperative”? KH: Part of the marking that happens in “misdemeanorland” and the criminal justice system is just an unavoidable upshot of the fact that we’ve got bureaucracies that have to conduct this work. An accusation is made, the case is open until there’s a disposition, and after the disposition it may continue to be a permanent mark, or it may not. People in highly policed neighborhoods, namely black and brown people, are much more likely to get rearrested. Again, the justice questions are complex. The entire logic of the disposition wasn’t actually an adjudication on the merit of the facts. It was just that I am not even inquiring into whether that happened, I am just saying that I will see what type of person you are in the future. So people who are living in highly policed neighborhoods, namely black and brown people, are much more likely to get rearrested. Using the fact of re-arrest as an index about a person’s lawlessness rather than an index of where we’re concentrating police resources is problematic, to put it mildly. And again, that’s why it’s important to ask these questions in our real situated historical world as opposed to looking at it in the abstract. When we have a system that says we’re going to use these provisional marks that aren’t really marks of conviction to ratchet up our response, the other side would say, “Well, there’s nothing wrong with that because on the second arrest, that’s an authorized sentence on the second arrest.” And I think that brings back the importance of addressing the substance of criminal law, like what sorts of things are we criminalizing [and] what are the authorized sentences? Authorizing three months jail or a year in jail for some of these offenses…you’re giving the prosecutor the power to hold that over someone. And are you giving that to the prosecutor because you really believe that’s a just sentence, or because you believe that it’s just to give one party coercive power over the other party to basically force outcomes? TCR: A big issue in your book is the way that the managerial model exercises social control over defendants. But one could argue that some of the elements of what you describe as social control, such as mandatory counseling or drug treatment, actually benefit defendants when executed well, even if they are mandatory. Can social control ever be a good thing? KH: Well, certainly, I’m all for social control. In sociology, the word “social control” has a sort of value-neutral descriptive meaning. Schools are social control institutions; the labor force is a social control institution; marriage is a social control institution. In the most basic, general way, that term just means the ways that we coordinate our social activities and try to have some shared value system. But the question is always what substantive values are being transmitted and how are we organizing society? Crime and disorder are very real and serious issues. You’re going to find no one who’s a stronger supporter of trying to end violence than people who live in high-violence neighborhoods. The question is how we do it. And when it comes to how we deal with those issues, we as a society have chosen to use the most coercive, punitive, dehumanizing methods that essentially expel huge swaths of the population from feeling and being a part of our political and social community. And that, I think, is a deep moral failure. Violence in New York City in the late 1980s and 1990s and even today is a very serious issue. Drug addiction is a serious issue. There’s many ways we can deal with it. One would be with a massive investment in other institutions of social control like schools, like workforce training, like parks, like community organizations. We should invest in the institutions that integrate people, as opposed to those that expel people from our social community. That is not what we have done. Instead we’ve decided to police, to arrest people, to put people in prison, and I think that is a moral failure. I think that we should invest in the institutions that integrate people as opposed those that to expel people from our social community. And the people that are the most affected should have democratic control over those institutions. But instead, what we’ve done is try to expel people from the political community using the criminal justice system, through felony disenfranchisement laws, or scare tactics, or making people feel that they don’t have control over the institutions that affect their lives. That, to me, is the tragedy here. It’s not social control per se, but rather how we do it or the meaning that it has. TCR: A system that churns out so many false negatives—people punished for crimes they did not commit—and false positives—people who avoid conviction for crimes they did commit—is hardly ideal. But as you note in your conclusion, “no philosophers or public intellectuals have…offered deep rigorous thinking about what justice demands in response to these types of low-level crimes.” What do you think it demands? What should accountability look like for someone who jumps a turnstile, pushes his or her spouse, etc.? KH: You know, my nights and weekends job, I live on the other side of the criminal justice system as a pro-bono attorney. I have for years represented people who are sentenced to life for very serious crimes they committed when they were juveniles. I represent people who committed murder when they were children—sometimes they did very, very serious things. And I believe in punishment, and frankly, I’ve never had a client in that line of work that doesn’t either. The question is how much [punishment], and under what circumstances; and what else are we doing for people so that doesn’t happen? Most of the people that I’ve met [through that work] should never have lived in the circumstances that they lived in such that they ended up in those situations. The crimes are heartbreaking and the circumstances that brought someone to do that are heartbreaking. We have to ask, what are we doing in the contexts that these things happen? I think that’s true on the low end of the criminal justice system, too. Like I said, it’s not crazy to say someone shouldn’t jump the turnstile. We all have to pay for the MTA. But it’s also not crazy to say, “Well, how else is someone supposed to get somewhere when they literally don’t have $2.75?” I think a lot of Americans might not actually know how deep and serious poverty across our country. There are people that do not have $2.75. They do not have it. So you can’t answer the justice question in the abstract of the distributive justice question. They’re deeply intertwined. Some of these programs that say, “Go to a class about how bad shoplifting is instead of getting a jail sentence”…well, of course I would rather have someone go to a class than jail, but what I’d really rather have is a robust welfare state, whereby if someone actually stole something, I could believe that maybe it’s because of a moral failing as opposed to abject poverty. In those circumstance, I might feel more comfortable talking about punishment, but that’s not the world we live in yet. So I think that these are very hard questions, and I think that we need to always remember to keep our eyes on both sets of issues when we talk about them. TCR: How do you balance public safety and civil liberties when it comes to policing misdemeanors? How do you protect people without saddling members of marginalized or vulnerable communities with long arrest records? KH: One way that you do that is by having transparency and accountability in the police institutions, and, tragically, that is something that here in New York City and in many cities, police unions and police officials have fought vigorously. 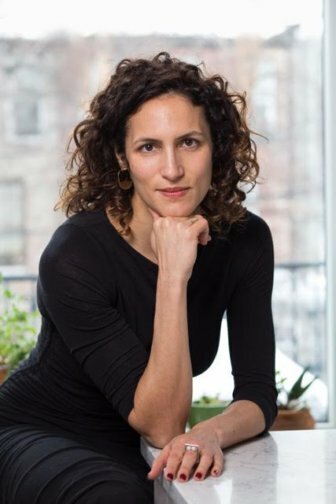 The NYPD is one of the most reticent to answer Freedom of Information Law requests, or share personnel records…in many ways, they have acted as if they are an institution above civil society as opposed to an institution that is accountable to civil society. That’s not to say that all police officers are bad. There are so many police officers that get into policing because they’re deeply dedicated to, and often come from, the communities that they want to serve. But I think that those policies fail them too, because they make them an entity that the rest of us feel is unaccountable and frightening. Another thing you can do is think about management. Misdemeanor arrests ballooned in the early 2000s partially because beat cops were being judged in terms of their effectiveness by precinct commanders by essentially a numbers game. They had to turn in activity reports every month that had the number of stop, question, and frisks, the number of summons issued, the number of misdemeanor arrests made, [and] all those numbers were good numbers. All those numbers were turned into this thing that made it seem as if they were productive. And this was all coming from the top of the hierarchy. 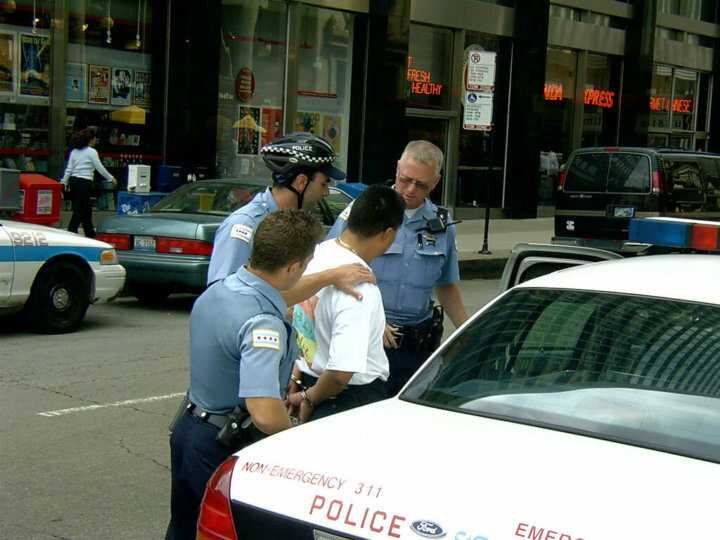 No one believed that at the height of misdemeanor arrests, which was in the early 2000s, making 50,000 arrests a year for marijuana had a public safety value. But it was allowed to happen politically because it was happening to the people they thought they could get away with doing it to, namely young men of color, and police brass was unwilling to think harder about how to judge efficaciousness on the ground. I think you see the NYPD struggling with that now, and that’s laudable. You see a lot of police forces thinking very carefully about how we judge qualitatively distinct and rich ways that police officers deliver safety without basically just incentivizing making arrests, and making summons, and making stops. That’s a hard thing. But you know what? We’re smart people, and I think we’re up to the task. TCR: You express serious concern in the book with the ways that the machinations of “misdemeanorland” reproduce race and class inequality. Doesn’t this all stem from police practices, i.e. who police decide to arrest and charge? Courts themselves don’t choose what cases come through, so can they be a part of the solution, and if so, how? KH: There’s a lot that courts can do. We’re seeing right now a fascinating pivot to the left in a couple of the prosecutors’ offices here in New York City. Let’s take Manhattan for example. For all the years that I have data, you had the highest risk of being convicted and getting a jail sentence if you were arrested for turnstile jumping. [Manhattan District Attorney] Cy Vance’s office had one of the most punitive offer policies. But recently, Cy Vance’s office decided it was going to decline to prosecute turnstile jumps. The NYPD was not happy about that, but it’s a powerful prosecutor’s office, and they decided to push back. If the prosecutor is going to decline to prosecute those cases, eventually the police will probably stop making them. So there’s a lot that they can do. In prosecutor’s offices and other states where non-conviction marks are printed on the rap sheet, prosecutor’s offices could do a number of other things. They could lobby the state government to change the state’s criminal records laws. Prosecutors could stop accessing sealed records. Here in New York, the NYPD shares sealed records all the time with prosecutor’s offices, and they could stop that practice. And I think the other huge thing they could do is change the leverage points. Few people with power are ever willing to give up their power. But things like discovery reform, or changing the authorized statutes and sentences would actually take away some of the power the prosecutors have. I have yet to see any of them do that. But I don’t think any prosecutor gets to call her or himself a progressive unless they’re willing to understand that in many senses, as the old line goes, “It’s more power than a good man would want or a bad man should have.” And you sometimes need to tie your own hands. TCR: So do you believe that prosecutors are the actors within “misdemeanorland” who are best poised to change the system? No policies can ever be a replacement for politics. That’s what we’ve seen in New York. I mean, you’re talking about Cy Vance’s office, which, like I said, had a tin ear to these issues for his first eight years in office. But that’s changed, and I think that’s because of organizing on the street and activists. Anyone that’s practiced law in the criminal justice system knows who has the power. People have written articles about this, people have written books about this. It’s prosecutors. [But] we have a responsibility to be involved in prosecutorial races, bringing attention to them, pressuring them. We can’t put our faith in them just as good actors delivering grace. We need to hold them accountable. 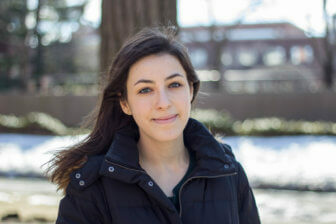 Elena Schwartz is a TCR News Intern. She welcomes readers’ comments. If the proposed Concealed Carry Reciprocity Act (CCRA) becomes law, violence in New York City would climb to levels not seen since the 1990s, Manhattan District Attorney Cy Vance, Jr. warned at a gun policy forum co-sponsored by The Crime Report and City Limits magazine Thursday. 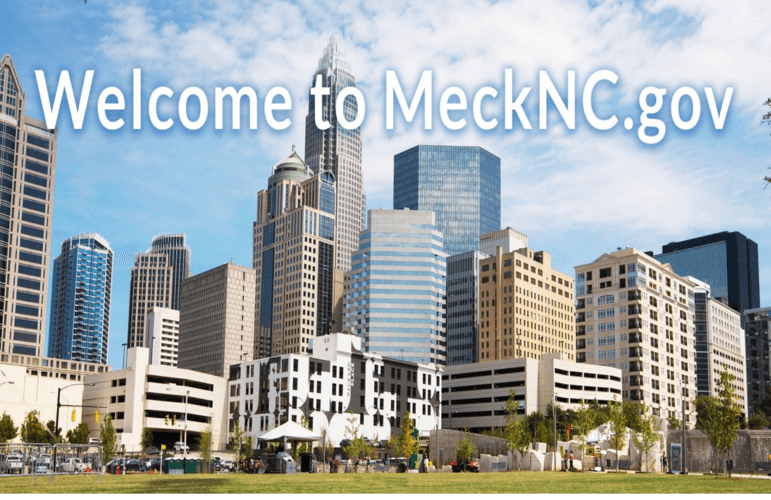 In 2014, North Carolina’s Mecklenburg County defied skeptics by adopting a pretrial risk assessment tool aimed at reducing the number of people in jail awaiting trial because they could not afford money bail. Other states should take note, write two reform advocates. 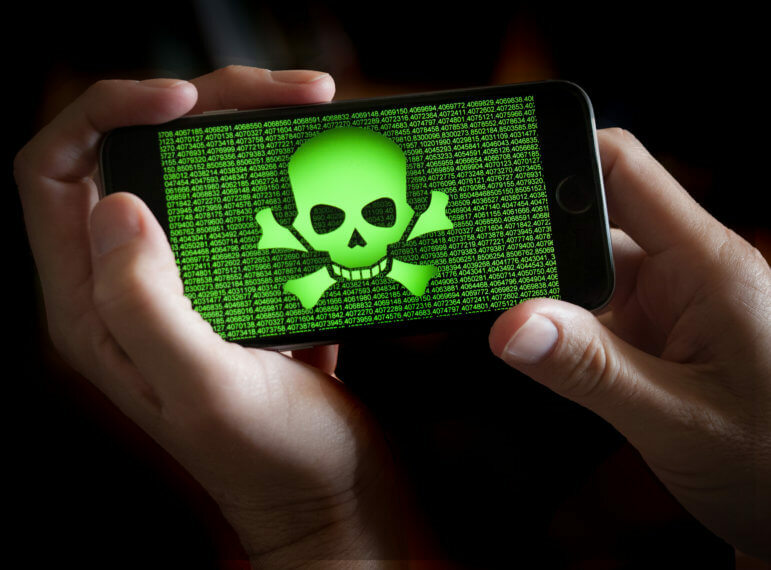 A May 15 Paris conference, co-sponsored by New Zealand Prime Minister Jacinda Ardern and French President Emmanuel Macron, will bring together national leaders and tech companies to focus on terrorists' use of social media. 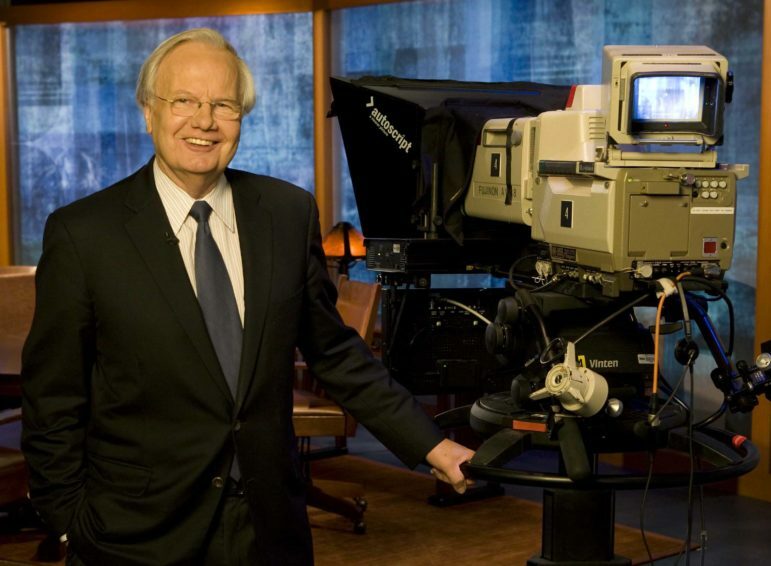 One critic warned of overreaction to tragedies like the recent New Zealand mosque attacks, which were livestreamed by the shooter. 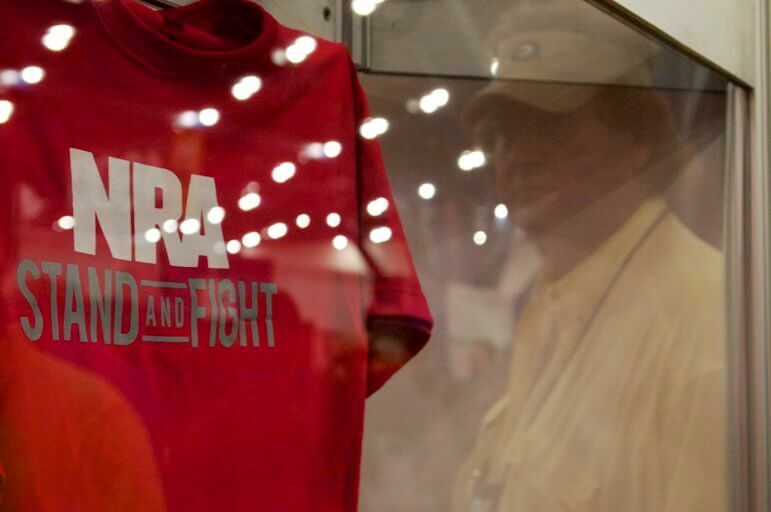 As the group gathers for its annual convention Friday in Indianapolis, the NRA may be facing its toughest foe in decades: its own members. The Cenikor Foundation has dispatched tens of thousands of patients to work without pay at more than 300 for-profit companies over the years, according to The Advocate newspaper. Some have moved boxes in a sweltering warehouse for Walmart; others built an oil platform for Shell. A former participant described it as the "closest thing to salvery." A fusillade of verbal assaults by the President aimed at former White House counsel Don McGahn, a star witness in the Mueller report, has sparked questions about obstruction and witness intimidation.